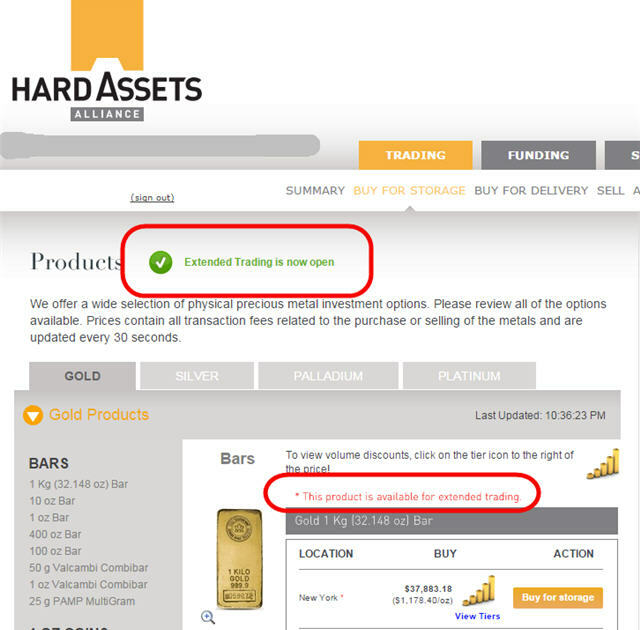 What’s unique about HAA is that you are not buying Gold, Silver, Platinum or Palladium from them, but from a dealer network that is competing for your business with low buy prices and high sell prices. Note that as you watch the screen on any given product, the prices change to reflect this live marketplace. Last night as I was recording the video below I even noticed that Zurich and Singapore pricing moved lower than New York, the traditionally cheapest location to buy Gold through Hard Assets Alliance dealer network. This is particularly exciting for those of us who want geographic and jurisdictional diversification in our precious metals storage plan. If you are buying for immediate delivery, however, I might expect that the shipping costs should be higher the further away from your address that you buy. HAA has been continuously upgrading their website, services and support over the years they have been in business. These types of changes are always welcome! Is Now The Time For Accumulation? The media would have you believe that Gold is being abandoned, and Silver worse. Then comes a story yesterday that the plunge in Silver resulted in the US Mint being emptied of Silver Eagles. Our sources in the precious metals storage industry tell us that individuals are aggressively buying and storing Gold in vaults around the world – Singapore continuing the trend to be the hottest spot. 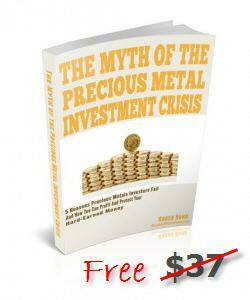 The time to accumulate large amounts of Gold & Silver is when prices are low. This current downdraft could be a gift; time will tell. I am guessing, though, that Greeks who can’t get by on 67 Euros per day wish they had some Silver coins stashed close at hand that they could buy food with. I further surmise that there exist wise Greek merchants who would be anxious to receive said Silver coins. Where To Store The Gold? We have discussed many times that to have a little close at hand can be wise, though a great number of so-called experts feel that will not be required here in the great U.S. of A. Large amounts, however, need to be securely stored to insure your peace of mind. The Hard Assets Alliance continues to be the choice we personally are making. Learn more here.